Trying to pay for college can be a delicate balancing act. You want to maximize the amount of financial aid and minimize the amount of student loans you use to cover your costs. When borrowed wisely, student loans can provide a tremendous boost to your financial outlook. After graduation, when these loans become due and payable, some alumni find that they have a difficult time securing a job that pays enough to enable them to honor their financial commitment. This can put a strain on their budget and their long-term credit outlook. Loan Deferment: A deferment is a period during which repayment of the principal and interest of your loan is temporarily delayed. Although interest does continue to accrue, the federal government may pay the interest depending on the type of loan you have. You may be eligible for deferment if you continue taking approved classes, attend grad school, become unemployed, join the Peace Corps, or serve in the military. Loan Forbearance: You may be able to stop making payments or reduce your monthly payment for up to 12 months; however, interest will continue to accrue on both your subsidized and unsubsidized loans. You may qualify for forbearance due to illness, financial hardship, participation in a medical or dental residency, enrollment in certain public service programs, and certain military service. Closed School: You may be eligible for discharge of your federal student loan if your school closes while you’re enrolled or soon after you withdraw. This has happened with some for-profit school closures. Public Service: You may be able to receive loan forgiveness under the Public Service Loan Forgiveness (PSLF) program if you are employed by a government or not-for-profit organization. This program forgives the remaining balance on your federal Direct Student Loans after you have made 120 qualifying monthly payments under a qualifying repayment plan while working full-time for a qualifying employer. Teacher Loan Forgiveness: If you teach full-time for five complete and consecutive academic years in certain elementary and secondary schools and educational service agencies that serve low-income families, and meet other qualifications, you may be eligible for forgiveness of up to a combined total of $17,500 on your federal Direct Subsidized and Unsubsidized Loans, and your Subsidized and Unsubsidized Federal Stafford Loans. Teacher Cancellation for Federal Perkins Loans: You might be eligible for loan cancellation for full-time teaching at a low-income school, or for teaching in certain subject areas. You can also qualify for deferment through these qualifying teaching services. State-Sponsored Student Loan Forgiveness Programs: Many states offer loan forgiveness programs for teachers, especially if you teach in a high need area. The American Federation of Teachers has a searchable database you can use to find state and local forgiveness programs for which you might qualify. Disability: Certain physical and mental impairments can qualify you for a total and permanent disability discharge on your federal student loans. Borrower Defense: Borrowers may be eligible for forgiveness of their federal student loans if a school misled them or engaged in other misconduct in violation of certain laws. This may apply to borrowers who attended Corinthian Colleges—Everest, Heald, and WyoTech—with a first date of attendance between July 1, 2010 and September 30, 2014. Death: The loan is automatically canceled if the borrower of a federal student loan dies. Private student loans may not offer the same protection. If you think you may be eligible for one of these options, contact your loan servicer to determine the steps you need to take. Keep in mind that these options officially apply only to federal student loans. 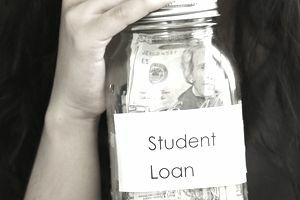 You need to check with each of your private student loan servicers to determine if they have similar programs available. It can take a little time, but it could be worth your effort. Do You Know the Answers to These Financial Aid Questions?